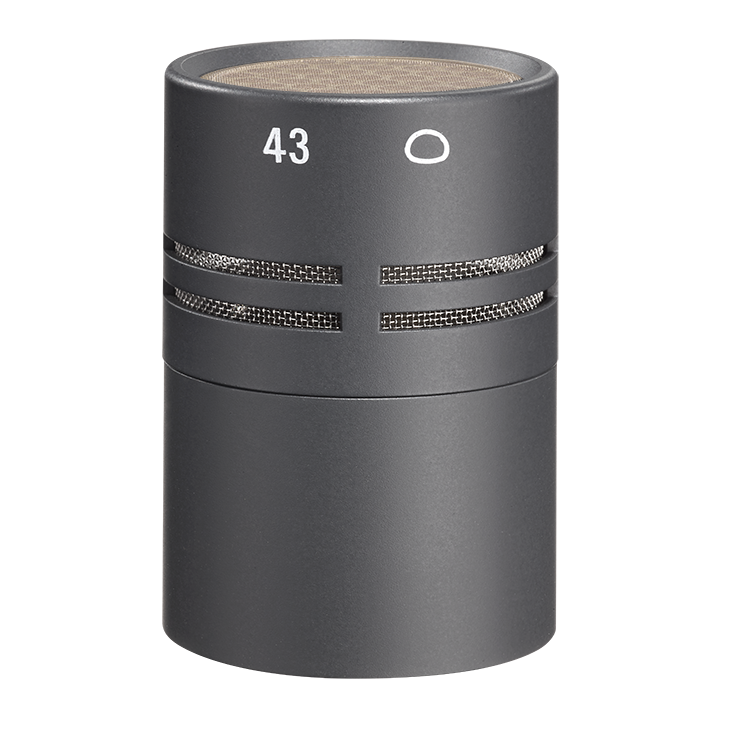 The AK 43 is a pressure gradient transducer with wide-angle cardioid characteristic. Attenuation: 4 dB at 90°, 8 dB at 135°, and 11 dB at 180°. The frequency response for sound sources within an angle of ± 90° (off axis) is parallel up to 12 kHz.